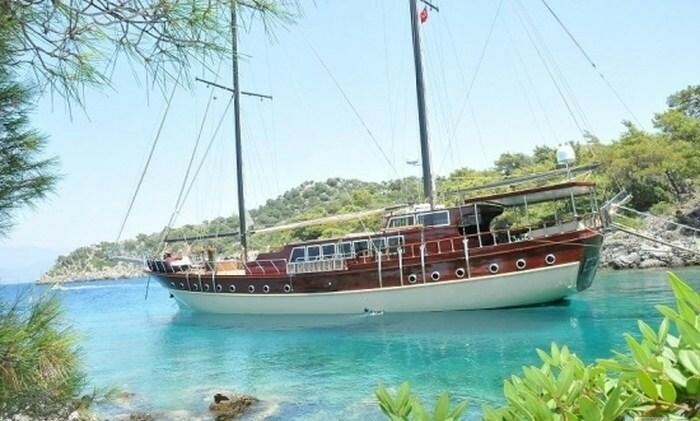 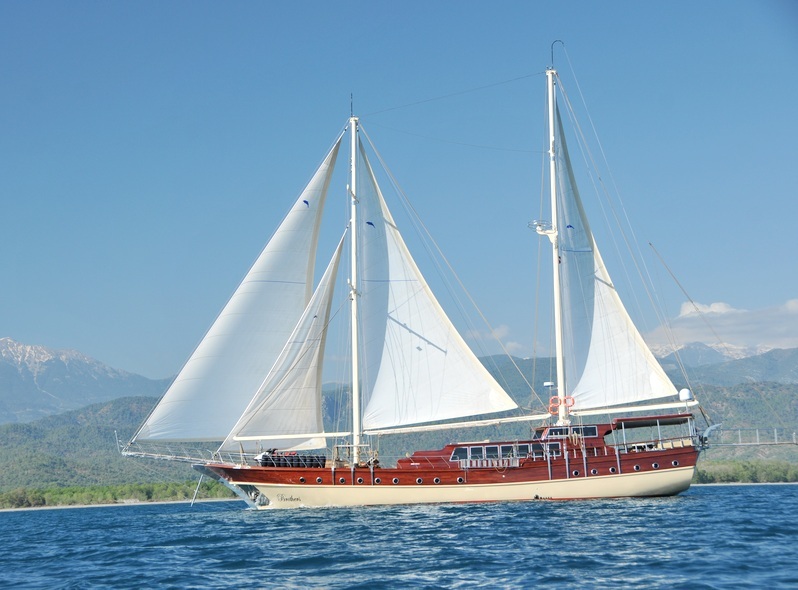 Luxury sailing Gulet BROTHERS was built in 2002 and refitted in 2011, the yacht measures 30 meters (98ft) and is a beamy 7.5 meters (24ft) making this a spacious and stable sailing vessel. 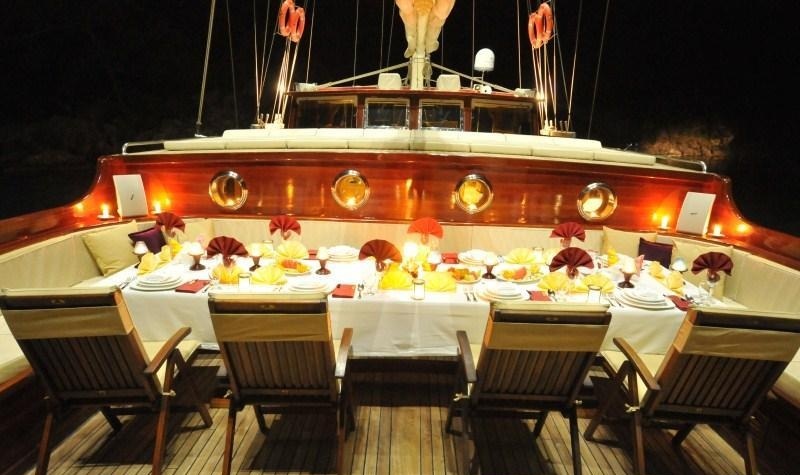 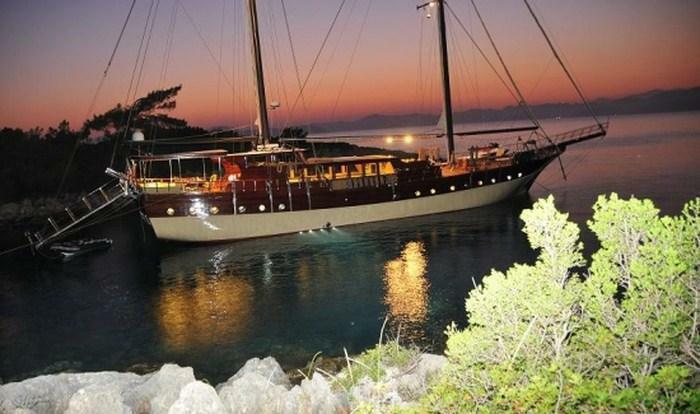 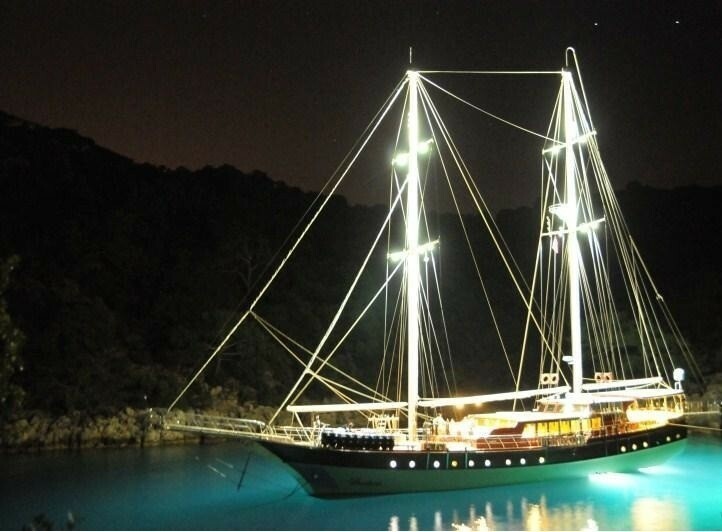 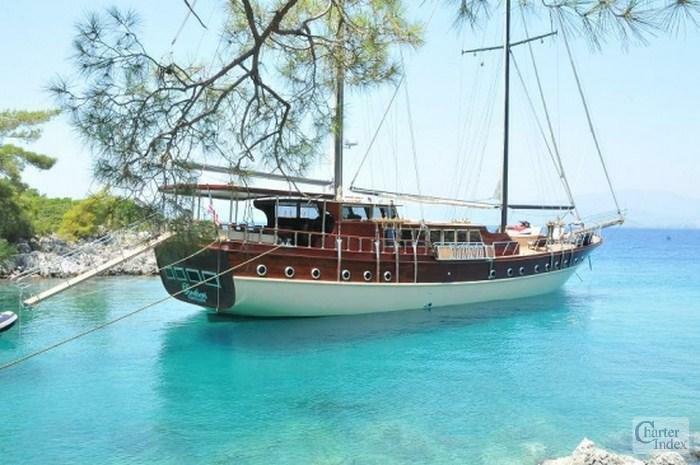 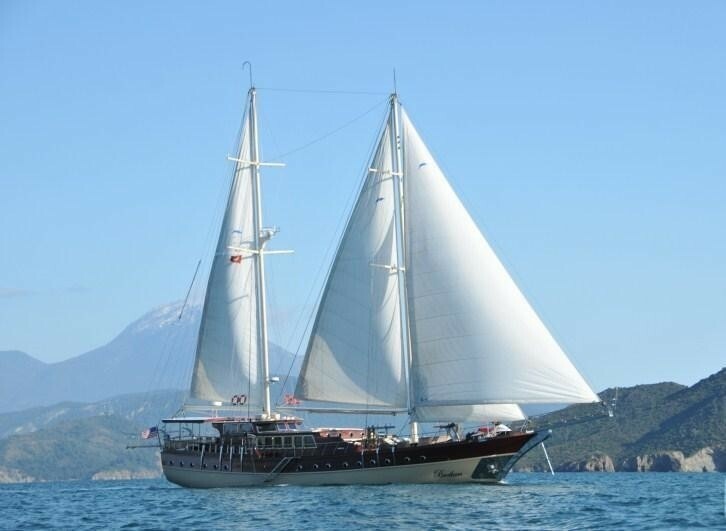 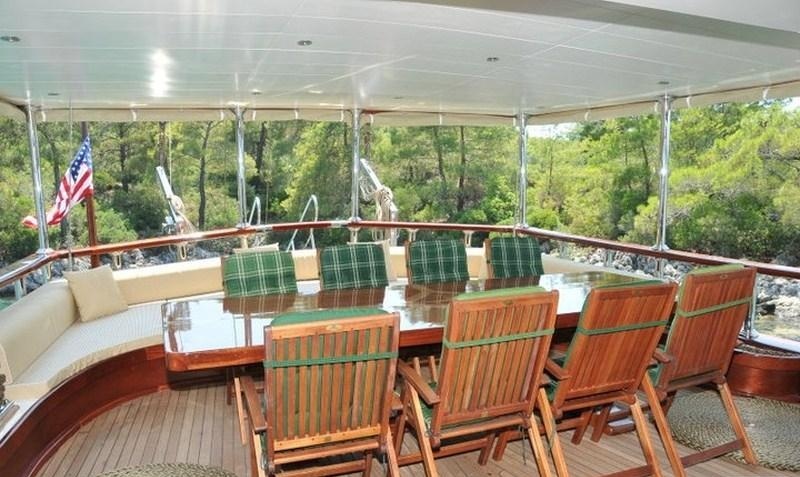 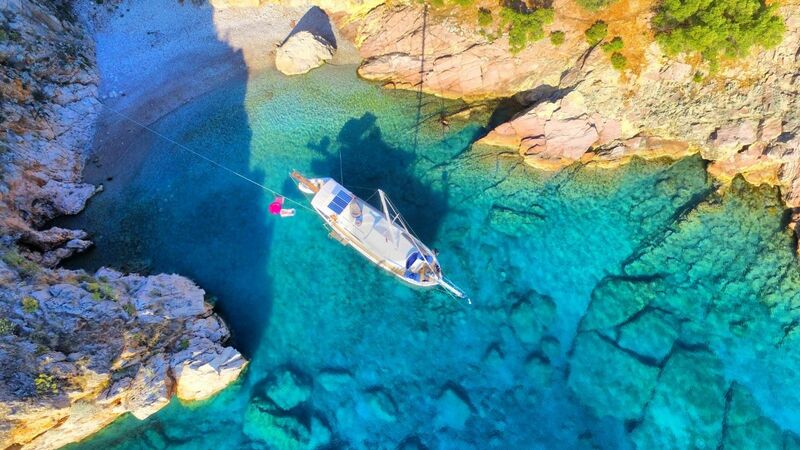 S/Y BROTHERS accommodates 12 guests in 6 roomy cabins and is available for charter in Turkey and Greece year round. 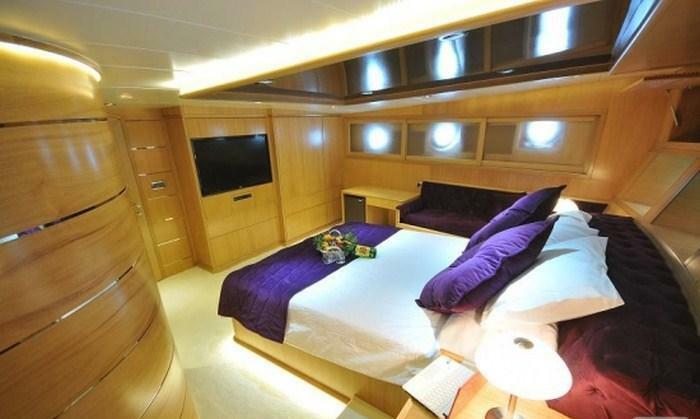 Charter yacht BROTHERS has a bright and airy interior with plenty of natural light throughout. 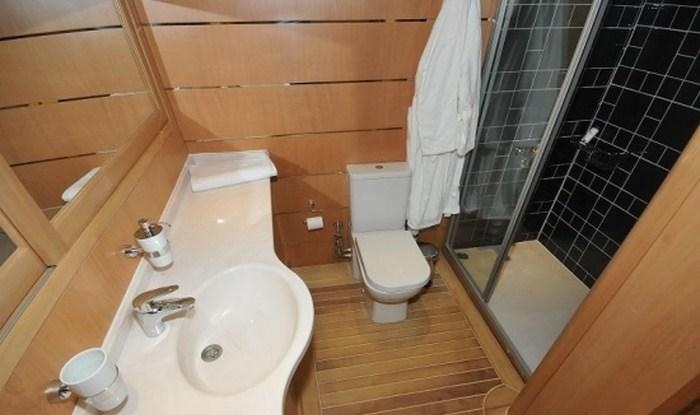 The salon and dining are an open plan, light toned woods, white soft furnishings and a neutral carpet tie the space together with a clean and simplistic feel. 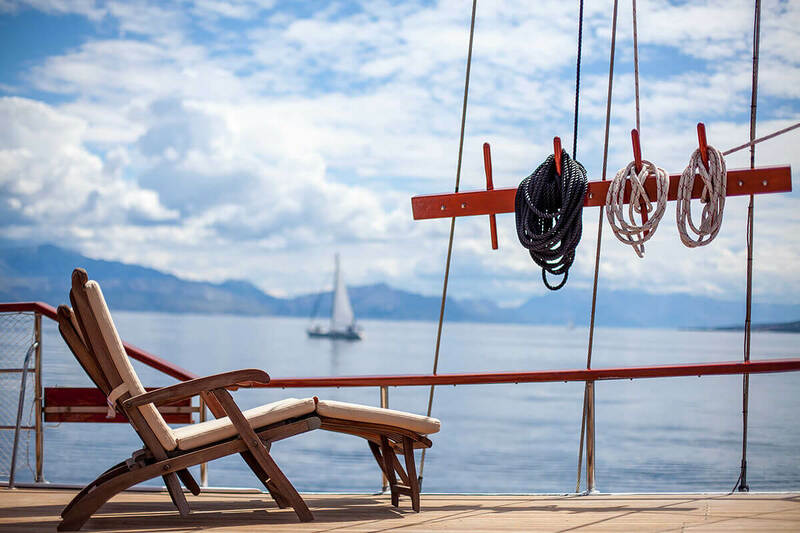 S/Y BROTHERS offers guests ample deck space to enjoy, the aft deck is shaded and features an alfresco dining option and large lounge pad aft, the ideal place to escape with a book. 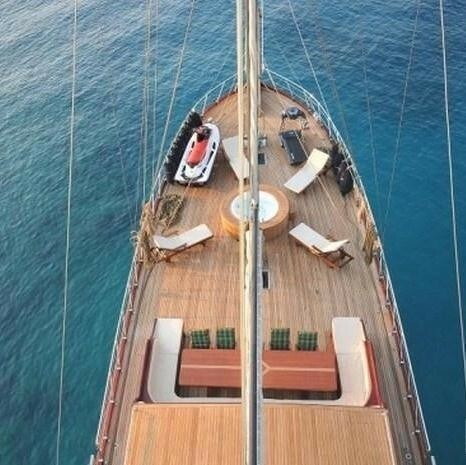 Thanks to the wide Gulet design the teak foredeck is the main social area with a large alfresco dining option, chaise lounges, sunpads and a Spa Pool tub. 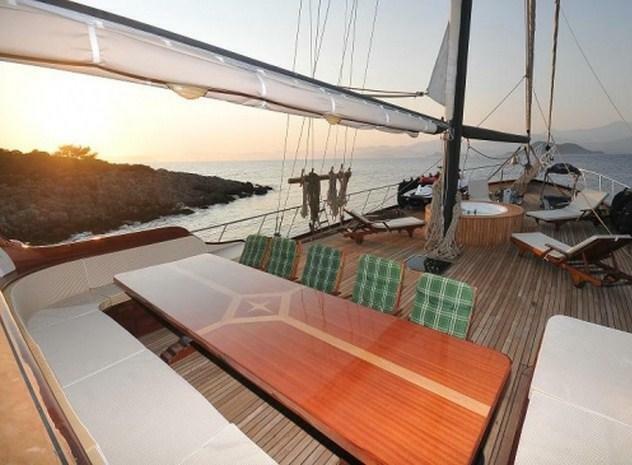 She has a beam of 7.5 meters (24ft) and a draft of 3.9 meters (12.8ft) and cruises at speeds of 12 – 14 knots. 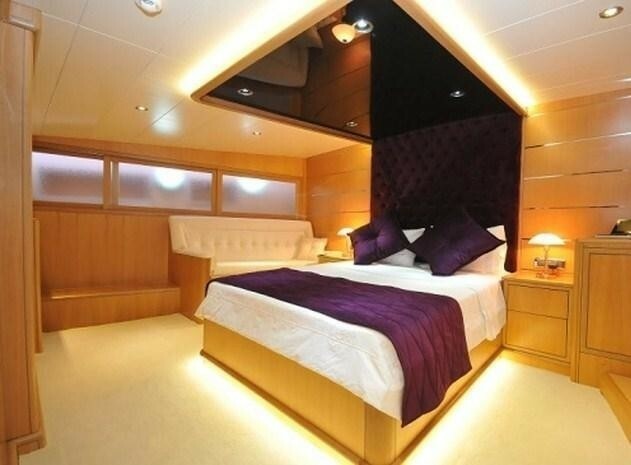 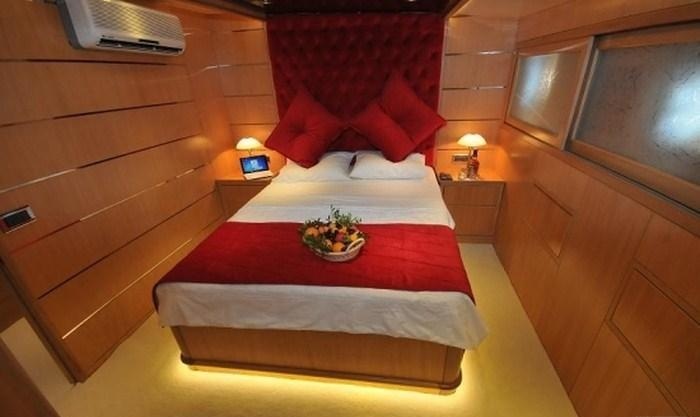 Luxury sailing Gullet BROTHERS boasts 6 deluxe cabins for up to 12 guests. 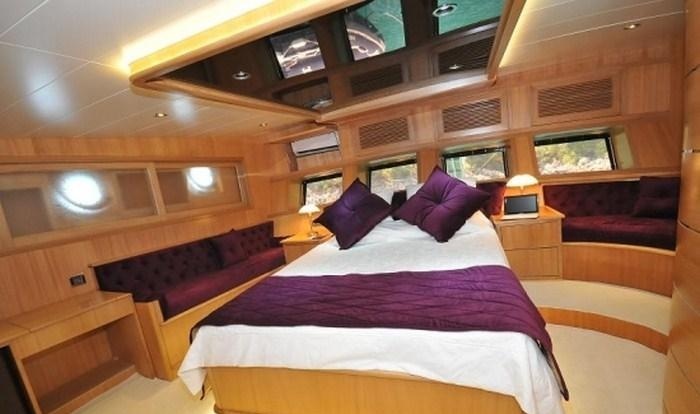 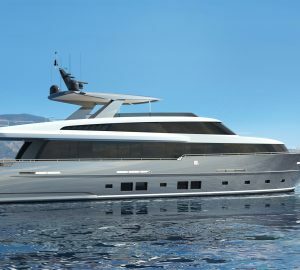 The master cabin is full beam of the yacht and aft featuring a queen size bed, sofa and love seat, traditional aft facing windows and en-suite facilities. 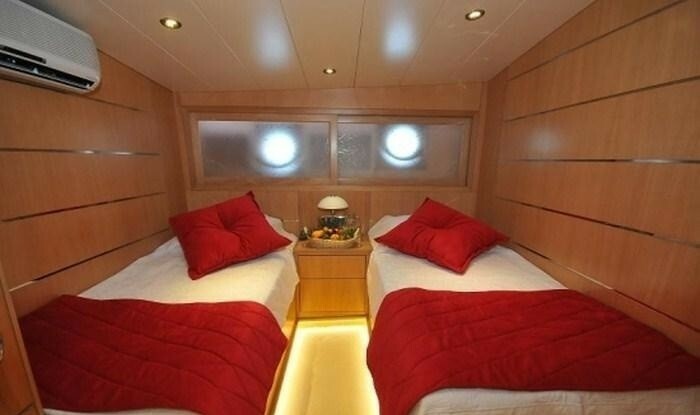 A further 5 cabins are 1 queen, 2 double and 2 twin cabins. 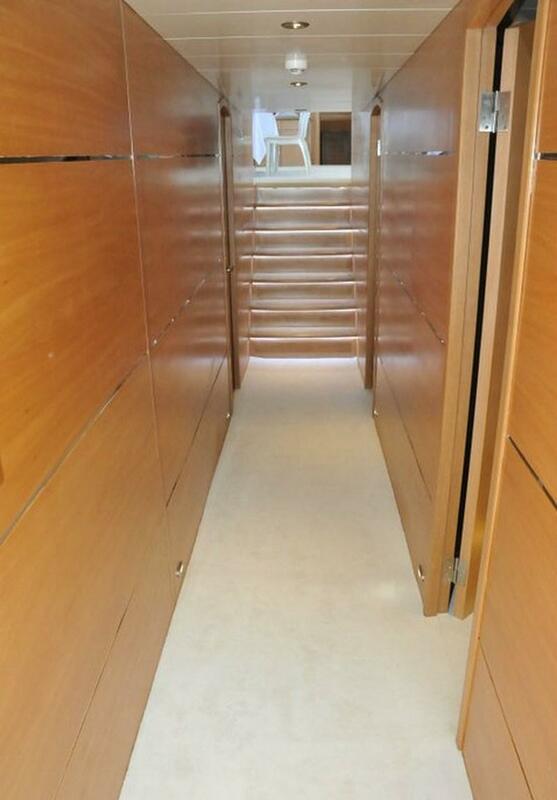 All cabins are constructed in a lovely light toned wood, have neutral carpeting, port lights for natural light and mood lighting by night. 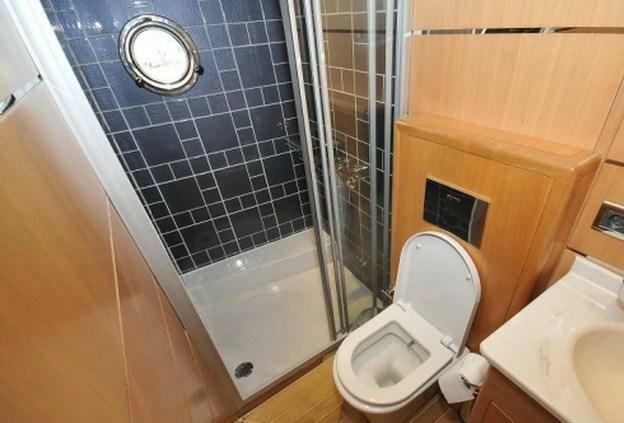 Each cabin has its own private en-suite shower and head. 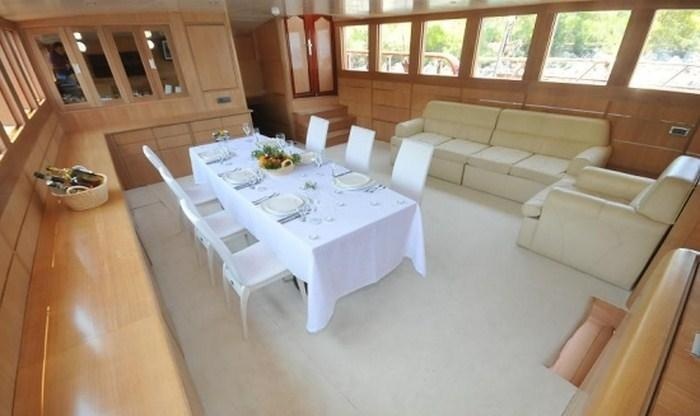 The motor sailor BROTHERS has 1 Inflatable RIB tender, Wi-Fi / Internet, SATCOM, SAT TV, DVD Library, DVD, Stereo, Wakeboard, 1x1-man Kayak(s), 2 Jet ski(s), Fishing Equipment, Water skis (adult), 1 Windsurfer(s) (adult), Spa Pool (on deck),Canoe, Mono Ski, Neo Board, Snorkeling equipment.